What role does value play in sales generation? Better yet, let me ask another question: Are you sure you have a clear understanding of what value is? Hopefully you do, but so many businesses get it wrong. Value is NOT selling based on strategic pricing - the two are very different. What is a Competitive Pricing Strategy? A competitive pricing strategy is simply following your competitors’ prices to make sure yours are the same or lower. 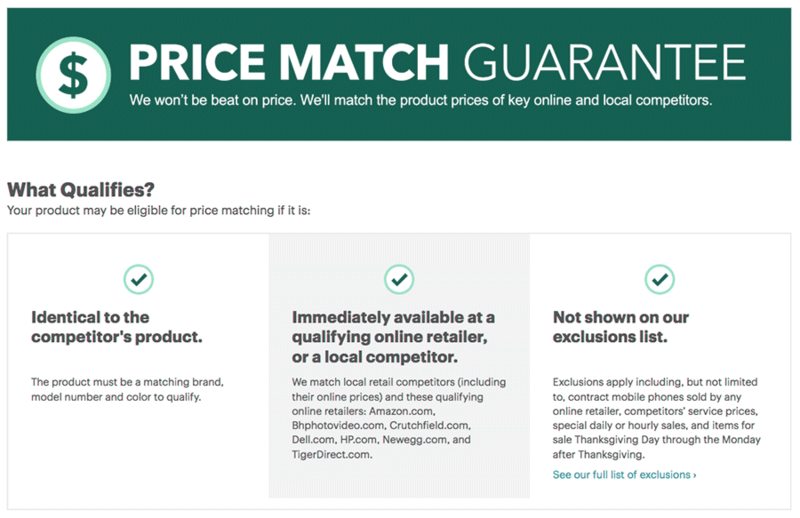 Best Buy and WalMart are two successful companies that implement this, in the form of price matching as their primary sales tactic. In these cases, it works well. But competitive pricing is not usually as effective as value selling. If you’re one of the online store owners who struggle to understand what value is, let me help you out and spill the beans. Value Selling is using the benefit that exists after the transaction, once the exchange is over, to entice sales. When you can appeal to a potential customer’s emotional and physical needs in a way that goes above and beyond the norm, you’re able to enhance your success. The first example that comes to mind of value selling is a mystery gift idea I stumbled upon called The Mystery Package Company. 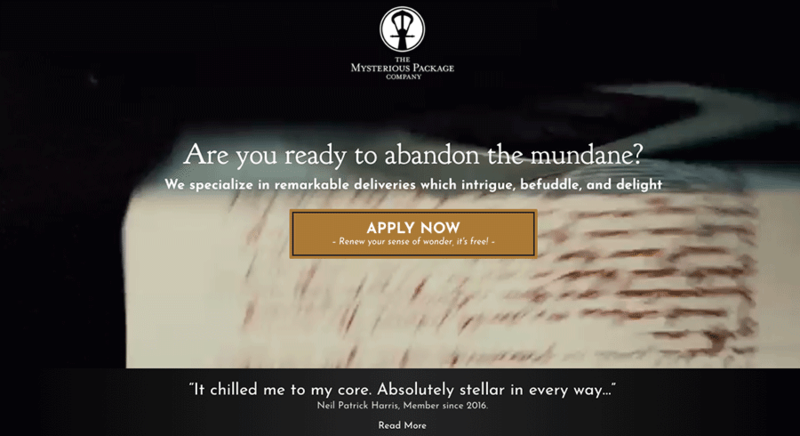 They deliver an immersive gift experience in the form of a mail-order series of packages. It’s not cheap, yet customers have to apply to order because of the high demand. When you provide enough value, price doesn’t matter. Now that you just learned what customers value, you're probably wondering what you can do to get awesome results implementing value selling for your online store. Here are a few easy tactics that can go a long way for your business. The value proposition is one of the world’s oldest selling concepts. Still, today, it is essential for anyone in retail, including eCommerce. If you can use your words to deliver a specific, pain-focused, exclusive proposition to let your website visitors know what makes your products stand out from the crowd, you’re headed in the right direction. Give a talk somewhere, but make sure you choose the right crowd - preferably one full of prospects or actual customers. Make sure you don’t turn your speech into a sales pitch, the idea is to help people first. Hang around after the discussion and meet & greet people from the audience. If you want to take this tactic a step further, you could give out something free at the end of your speech in exchange for email addresses. This is an exceptional way to generate leads. It solves the problems of your target audience. It positions you as a thought leader. It serves as a unique value proposition (what makes you different). It helps qualify leads by allowing them to agree or disagree with your content. This is why content marketing is a great idea for eCommerce; it attracts leads and allows you to simultaneously tell your story. All About Maternity is a clothing dropshipping store that has the right idea. 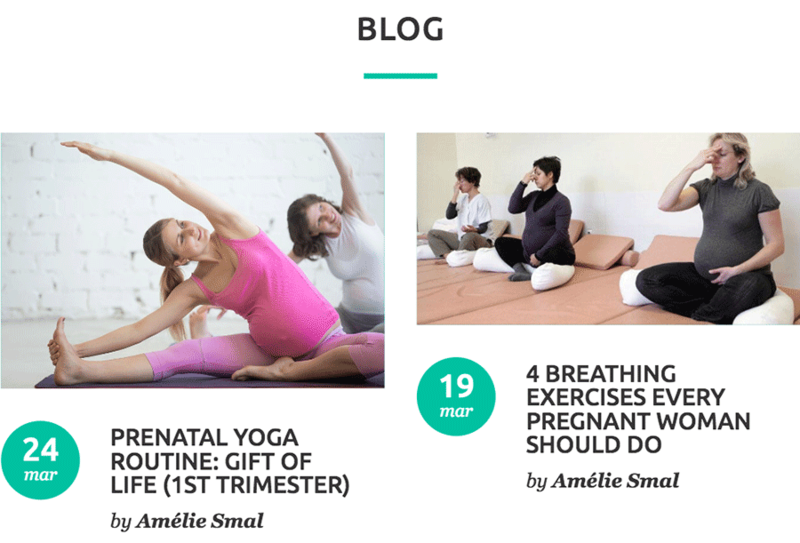 Their “Maternity Journal” provides mothers to be with relevant advice. It also serves as a way to build potential search traffic. The next step in a successful content marketing plan is to include an email newsletter to share with leads. First, add a blog to your site with content that solves your target market’s problems. Next, create a content asses (eBook, free video series etc). Then, use a tool like Mailchimp to add a subscribe button in a pop up or at the side menu of your site. Finally send your new posts and highlights to subscribers while you build a relationship with them, and eventually create new customers. When you first get started selling online, you may launch your store on eBay, Amazon, or your branded website. But, did you know that 73% of shoppers use more than one channel in their buying journey? 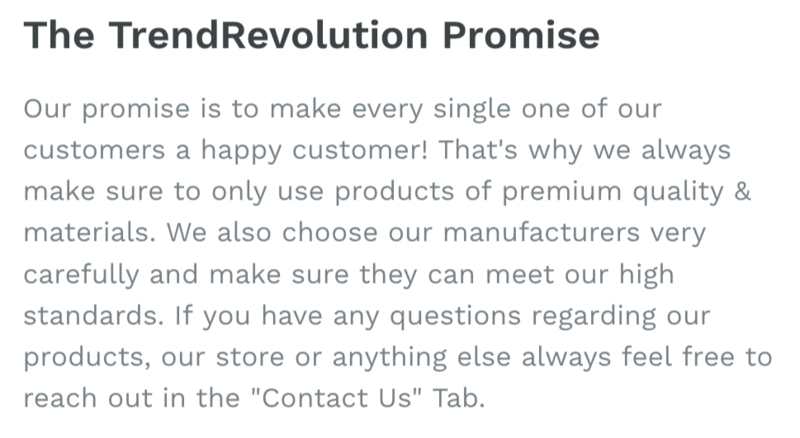 So, you can get started on the right foot by adding some or all of your products to more than one channel. 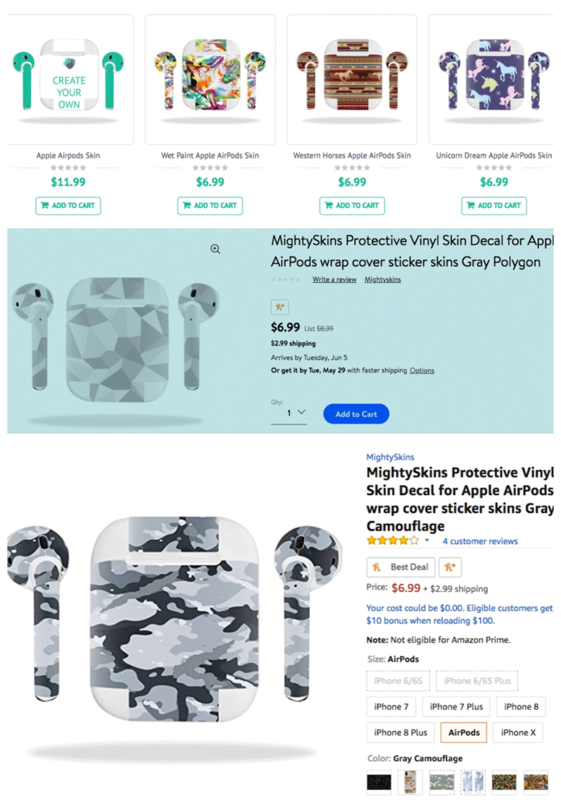 Mighty Skins, for example, sells Apple airpod skins on their website, Amazon, and Walmart. If you want to create an omnichannel experience, you will need the right tools. eCommerce platforms know this and it’s why they provide users with easy integrations with other sales channels, including the above listed as well as social media. Shopify even provides users with a credit card reader that streamlines sales management between online and offline transactions. In today’s marketplace, where the noise is at an all-time high and good is the cost of entry, the business with the best customer service wins. Ask yourself or a friend why they love going to Apple Stores. I would bet good money they either say the Genius Bar or the knowledgeable staff. Apple Stores have become points of interests in cities around the globe because they provide arguably the best customer service and experience you’ll find. They give free workshops, troubleshoot customer issues, fix hardware and software, and educate customers (with a smile and enthusiasm) every business day. Caring is the name of the game. Make great customer service the staple of your business, and you’ll see it flourish. Build and strengthen your relationships, (re)establish yourself as an authority on your niche, and put yourself in a position to have a meaningful impact by helping your community solve their most emotionally-charged problems. 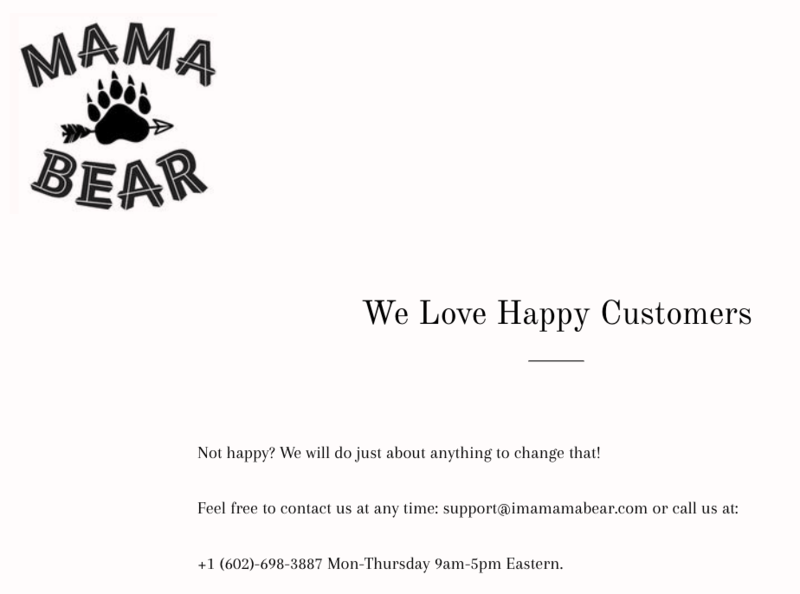 Mama Bear, a successful drop shipping company, lets customers know how cherished they are. Evaluate your current marketing and sales efforts. Are you providing value? Find at least two ways you can offer a clear benefit to your customers. Tell us what your idea of delivering value is in the comment section below. If you haven’t already, read Selling on eBay and Amazon and learn how to master the biggest online marketplaces. You’ll learn the best options for creating an online retail business. Ashley Kimler is part of the superhero team at Heroic Search in Tulsa. 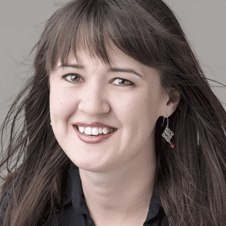 She's been working in the digital marketing industry for over a decade. Follow @ashleykimler on Twitter to see what she and her team share next.